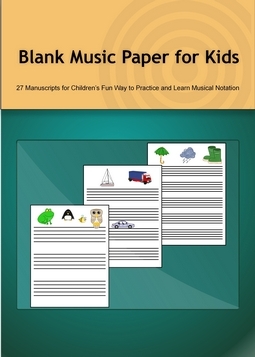 Home » What Is the Blank Music Paper? What Is the Blank Music Paper? Blank Music Paper for Reading and Writing Musical Notation. To learn to play a musical instrument, first the child has to learn to read music. You may ask: “And what if he wants to learn to sing?” To learn how to sing, your little one does not need to know the notes in the first stage of learning. This will happen only if he has a good musical memory. And even if the child really enjoys singing and wants to devote more time to his studies, he will need the knowledge of the musical literacy sooner or later. For this purpose he’ll need to use a blank music paper. Thus, at the beginning of training, young musicians begin to learn the names of musical notes and their location on the staff. Step by step, they will learn a lot of very important rules, which all musicians use to practice. To understand the contents of the story one needs to read the words and sentences written on white paper as often as possible. The musician plays pieces, reading the notes, written on five parallel lines. 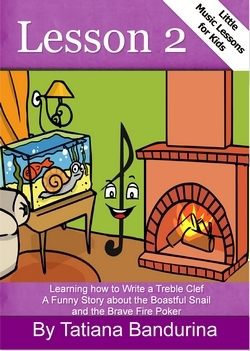 To learn how to read music freely enough, the little one will need to practice as often as possible. The best practice is written work. Every child enjoys the exercise books for records in a regular school and a young musician does his practice on music lessons with the help of blank music paper. 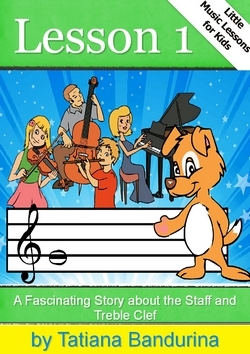 This musical notebook is especially needed on the music theory lessons. Here the child learns the rules, learning to write some notes. Then he puts them into musical phrases and sentences, and puts together a few sentences. Then the young musician gets a whole piece of music. Systematic practical training will bring your child to the skill and craft of writing notes on the blank music paper. Sooner or later he will reach a certain level and then will be able to record his favorite tune (not to forget it!) in the manuscript paper notebook himself. And if your child is very talented, in the future he will be able to compose music himself, and to do that he will need blank music paper again!